I like that you are warning the assembly of believers of certain men who mislead people. Worse to me are the prosperity groups.. Only that they are amassing millions in there own pockets and maligning What God really wants them to do with there money, to serve Him with it in Giving it away themselves. Then they truly could be prosperous. Still important aspects of the Love and belief in Jesus Christ and the resurrection repentance and baptism are being preached and reading the bible and studying the word.. Those who do that will leave the prosperity message alone and not support them. Ive heard the message they give and its mostly Christ centered it’s the love of their prospering that is maligning Christ. Some of them are obviously more twisted then others. I appreciate any judgement of the Saints concerning the Whole word of God.. In Love and respect and inspiring Christians to love and good deeds. That, truly if we could be followers of Christ by doing what the disciples exclusively did, what Jesus told them to do concerning the gospel, in Mat 10: 7 to 14, there would be so much more harmony in body of Christ. V7 “And as you go, preach, saying, the Kingdom of Heaven is at hand. V:8 Heal the sick, cleanse the lepers, raise the dead, cast out demons. Freely you have received, freely give. V:9 Provide neither gold nor silver nor copper in your money belts, V:10 nor bag for your journey, nor two tunics, nor sandals, nor staffs: for a worker is worthy of his food”. and so on. These were the apostles that the LORD instructed to go to the lost sheep of Israel. Do you suppose He wants us to follow Him any less now.? This to me is the model to measure leaders, and followers of Christ. If we all who proclaim Christ followed this example would there be more unity in Christ and a greater witness of our Love. I hope we can all judge ourselves from this example of How to follow Christ in His own description. In Acts we see it working out With the Holy Spirits outpouring. In Israel and Corinth, Galatia, Ephesus, Philippi and so on. The Apostles, and those who followed Christ from their example continued on in the description Jesus gave them. Going from place to place showing Gods love for people, healing, casting out demons, raising the dead, cleansing diseases. We should be no less followers of Christ now. 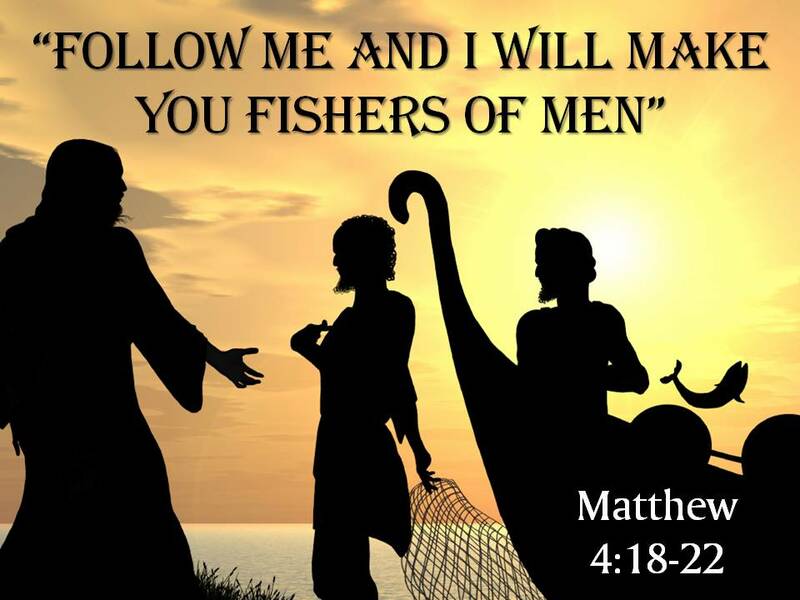 We have the instruction of Jesus and Holy Spirit to be Fishers of Men. I with you on this!